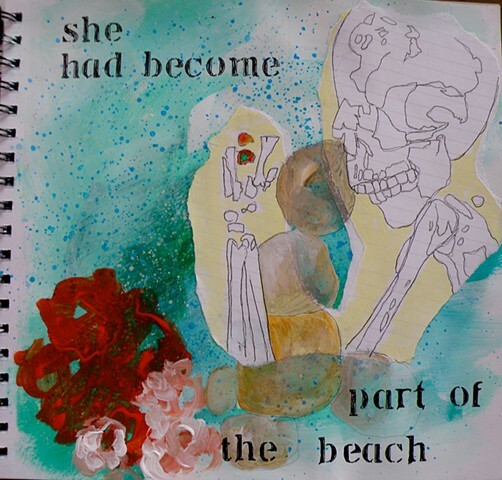 "She had become part of the beach...."
This is taken from a photograph of a skeleton originally found at the beach at Herculaneum. She had two rings on her hand, and a separate bag of jewels that she had tried to save. But the beach was not safe from Vesuvius.